Since I was a girl of a very young age, I recall October being my favourite time of the year. As a child, I was never interested in fairytale, princess birthday party's but I always loved a Halloween party. Even though I loved summer and day trips to the seaside, what I looked forward to more than anything was walking my dog in the crisp, autumn evenings. 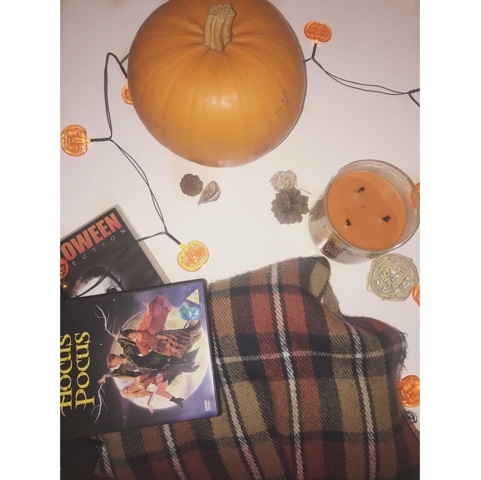 So here are my top reasons why I will always hold a special place for October in my heart! I love nothing more than taking a walk, wrapped in cosy jumpers and a long chunky scarf with the autumn leaves crunching beneath my Chelsea boots. Seeing the beautiful leaves in reds, browns and burnt orange is my favourite! Horror movies, gore and anything creepy is something I will never be able to get enough of! So sticking on a horror movie with a tub of popcorn and a fleece throw on the sofa is my ultimate favourite. Creating a Halloween outfit, painting friends faces and hosting or attending a party is a great finish to my favourite month. 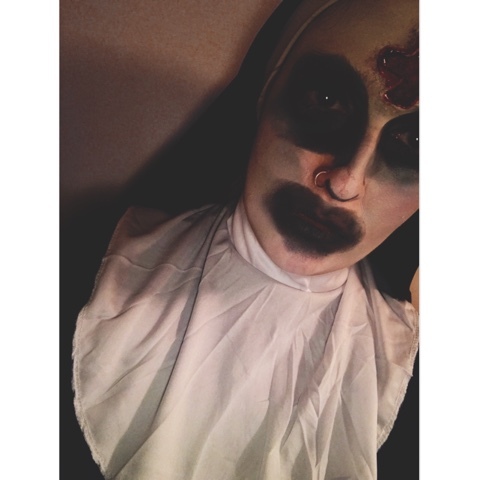 This year I went for a demonic nun, inspired by The Conjouring 2! This is sort of an abvious one isn't it really? Although I have candles through the year, I feel I only really begin to enjoy them around autumn time. 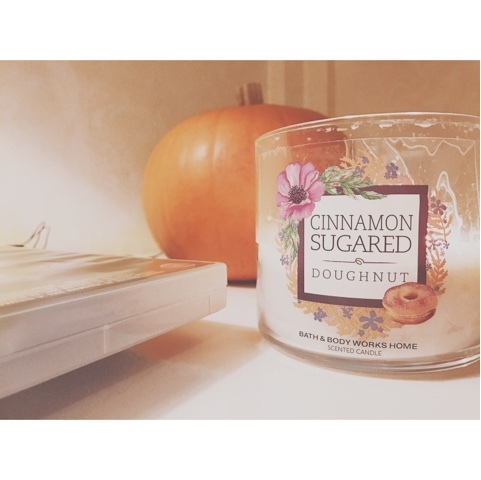 Reading a book and having candles lit with warm, spiced scents makes me feel relaxed at home. Everyone loves wearing layers, cosy jumpers and oversized scarfs don't they? Not only do I prefer the weather when it is cold yet fresh, the style of the autum season is something I wish I could wear all year round. Most worn shades are burnt orange and mustard yellow, deep purple with khaki green. It's fun to change up your makeup too with a refresh, using a bold, berry lip or a gold smoked eye. You heard me... It's a part of the squash family, pumpkins are super cute to decorate your home, carve and are super tasty! Once I've carved my creepy pumpkin, I like to roast the pumpkin seeds in the oven and add a little seasoning like garlic or chilli. I once visited America in the fall and pumpkin spice was huge out there, found in sweets, candles, alcohol and even perfume. I think it always reminds me of a wonderful time spent in America too which is why I enjoy having pumpkin around this season. 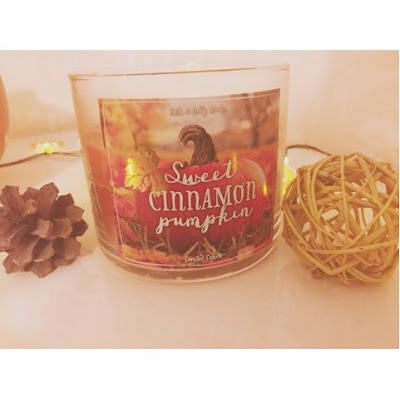 Labels: autumn, Bath and body works, blogger, candles, cosy, fall, feel good, Halloween, happy, lifestyle, October, pumpkin, pumpkin spice, seasons, U.K.